A stunning, sleek architect designed interior and garden behind a traditional Victorian facade. Quite beautifully executed to give a clean and contemporary family space that flows form front to back and frames the exterior cleverly from within. With high end fittings and bespoke joinery throughout - available unfurnished July 2018.The house is situated in the eastern section of Wendell Road near Wendell Park and Askew Road. Ravenscourt Park is within a short walk, as are numerous good schools and the shopping and transport hubs of Hammersmith and Westfield. Stamford Brook tube (District Line) is an approximate 10-15 minute walk. 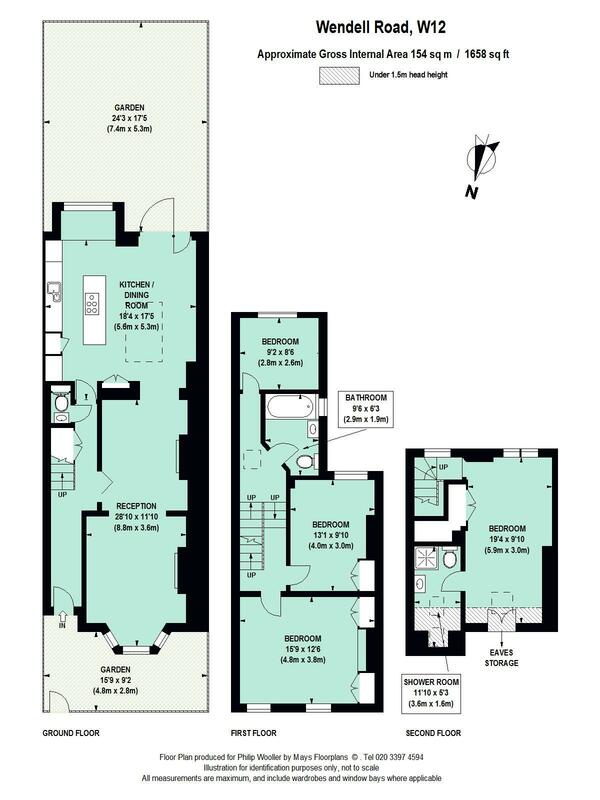 1658 sq ft / 154 sq m approx.